Is Athelhampton House really Haunted? 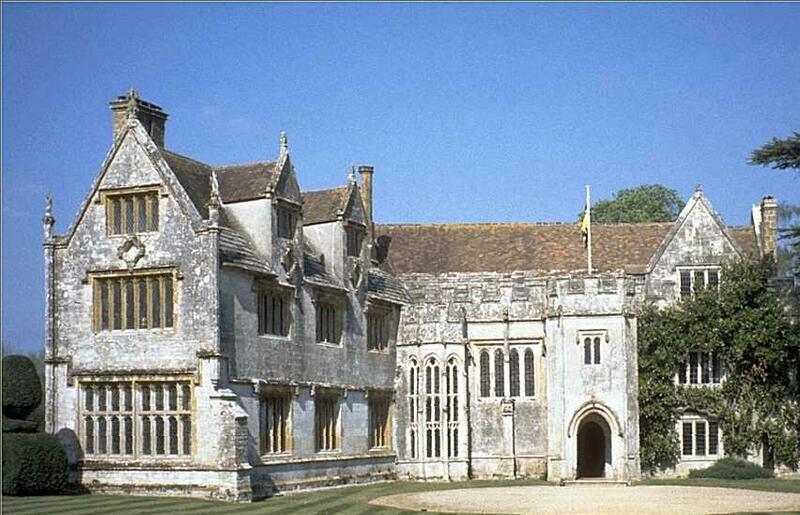 Athelhampton is a privately owned manor house in Dorchester, Dorset. A building on the grounds was first recorded in 1086 in the Doomsday Book, which states that the Bishop of Salisbury owned the manor (then known as "Pidele"). The name of "Aethelhelm" then appeared in the 13th century when the De Loundres family owned the property. The building is apparently haunted by two duelers from the Civil War. The specters are so real looking that they have been reported as a disturbance to the owner by one upset guest! Many members of the current Cooke family have reported seeing the "Grey Lady". Robert Cooke, the owner, has reported seeing her passing through the landing wall to the bedrooms - much to his great suprise! She has also been witness on more than one occasion sitting in a chair in one of the rooms, before getting up and disappearing behind the wooden paneling. The most famous ghost of all is perhaps that of a pet monkey, which was accidentally imprisoned in a secret passage near the Great Chamber. Although it's never seen, scratching noises are often heard coming from the area near the passage. Ghostly monkey scratching noises sound like something you'd like to experience? You're in luck - the building's open to the public!